The Linn-Mar School Foundation is privileged to manage a number of scholarship and memorial funds. These funds were created by individuals and families who chose to honor special people or interests by investing in the future of Linn-Mar students. An invitation to apply for scholarships is distributed to parents of graduating seniors in the winter each year with applications due January 31st. 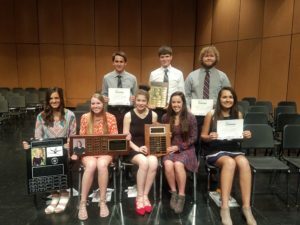 Scholarship awards will be presented at senior recognition night each May and payable to the recipient’s college financial aid office in July. Applications and requirements vary by scholarship and are available on Family Connection and through the Linn-Mar High School College & Career planning center. Annual scholarship funds can be created with a minimum of $1,000 gift and $25,000 for endowed named scholarships. For more information on investing in a scholarship fund contact Executive Director Shelley Woods at 447-3065 or swoods@linnmar.k12.ia.us. Melissa Ann Brendes Memorial Scholarship established in 2008, recognizes a passion for dance and children in the name of 2005 Linn-Mar graduate, Melissa Ann Brendes. Applicants must be active in dance performance, Poms, show choir, theatre or at a dance studio. Paula Grady Memorial Scholarship is a scholarship established in 1996 recognizing “quiet leadership”, good citizenship, school involvement and motivation to reach one’s potential in honor of Paula Grady. Dayton & Marilyn Sippy Scholarship – These long-time Marion residents created a scholarship in 1998 to support Linn-Mar students with the pursuit of higher education and meaningful employment. John Anderson Memorial Scholarship – This college scholarship honors Linn-Mar graduate and 1982-83 State Basketball Champion, John Anderson. The Anderson family established a scholarship in John’s name in 1995. Award is $1,000.00, $500 payable in Fall semester, $500 payable in Spring semester. 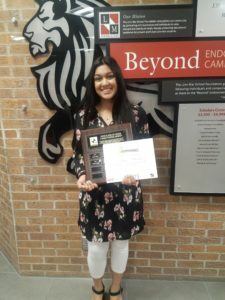 Aggarwal Family Scholarship For Educational Excellence – This new scholarship was established in 2016 and support the plans of two Linn-Mar students attending any accredited two or four year school or technical program. The Aggarwal family and Linn-Mar graduates Summet Aggarwal, 2000 & Manish Aggarwal, 2004 wanted a way to support students and give back to the school district they gained so much from. Demonstration of financial need is important. Awards are $1,000.00, $500.00 payable in the Fall semester, $500.00 payable in the Spring semester. The scholarship has been established by John & Peg Slusher. They have lived in the Linn-Mar school district for 45 years. They want to help Linn Mar students with getting an education at the University of Iowa. Award is $1000.00. $500.00 payable in the Fall semester, $500.00 payable in the Spring semester. Gerald Senninger Trojan Lodge #548 Scholarship The Gerald Senninger scholarship was established by Trojan Lodge #548 to honor Mr. Senninger’s desire to support a student from Marion, Iowa who will be pursuing further education upon high school graduation. Mr. Senninger was a former Linn County Auditor and dedicated Lodge member. Upon his passing, Mr Senninger created a trust to fund scholarships to continue the legacy of giving dating back to 1971. Sunrise Rotary Club Award was created to inspire “service above self”, the Rotary International motto. This scholarship established in 1996 recognizes success at Linn-Mar and an interest in further education. Sisters Selena Apodaca and Bella Severson, students of the Linn-Mar Community School District, were tragically lost in a car accident on the third of November, 2016. The loss was devastating to their families, friends and to the entire Linn-Mar community. Linn-Mar unified in support of those in mourning and to remember the lives of Selena and Bella. It is in this remembrance that the Linn-Mar student council has chosen to honor the memory of the sisters in the form of a scholarship. The scholarship has been created with the help of family and friends to be awarded to an individual who possesses similar character traits and values to those of Selena and Bella, such as love of family and friends, strong willed, outgoing, free-spirited, and tough in the face of challenges. Pagel Family Scholarship was established in 2010. This scholarship recognizes a student who has developed a “Spiritual Transistion Plan” while attending college. Heather Mershbrock Memorial Scholarship honors 1994 Linn-Mar graduate and 4-year, 2-sport cheerleader, Heather Merschbrock. This scholarship began in 2003 and recognizes academic, extra-curricular and community involvement. Applicant must be entering the teaching profession. 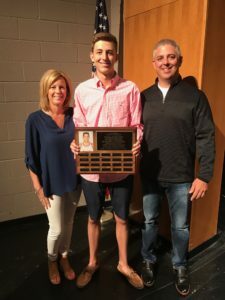 Nick Wilwert Tennis Scholarship – This scholarship will be awarded 2016-2018 and supports a Linn-Mar men’s tennis team member who best reflects Nick Wilwert’s caring nature and dedication to others reflected in his support of student athletes and in his community. Marion Firefighters Association Scholarship – New scholarship in 2018 established by the Marion Firefighters Association (MFFA). MFFA is an independent body of volunteer and career firefighters that serve the city of Marion, Iowa and Marion township. The purpose of this scholarship is to provide financial assistance to students in the community seeking a career path in Fire Science and/or EMT/Paramedic. In order to obtain careers in these fields, people are required to obtain designations that can be costly. By providing this scholarship, it is MFFA’s desire to encourage students to pursue this valuable career path not only for the Marion community but for all communities. Kiwanis Clubs of Marion Endowed Scholarship – In recognition of nearly 30 years of service to the community, the Kiwanis Club of Marion created a scholarship honoring service to others. Award is $500.00 beginning in 2018. Steven J. Colton Memorial Band Scholarship – Extraordinary Linn-Mar instrumental music instructor, Steve Colton, is remembered by friends, family and alumni through this generous scholarship to a Linn-Mar graduate pursuing a career in instrumental band music. Dennis Selness Endowed Memorial Scholarship – A group of Linn-Mar FFA alumni created this special scholarship to honor outstanding teacher, Denny Selness, who was instrumental in developing the Agriculture Program, FFA and Aquatics Lab. The scholarship targets an active FFA member pursing a career in natural resources or agriculture. 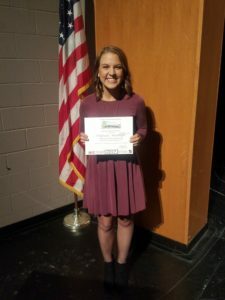 Linn County State Bank Scholarship – This scholarship was established in 2008 and supports the plans of an outstanding Linn-Mar graduate who plans to further their education in business with an emphasis in accounting or investments.